This weekend’s excursion took us down the border of Queensland and New South Wales, a resort community at the very south of the Gold Coast called Coolangatta. 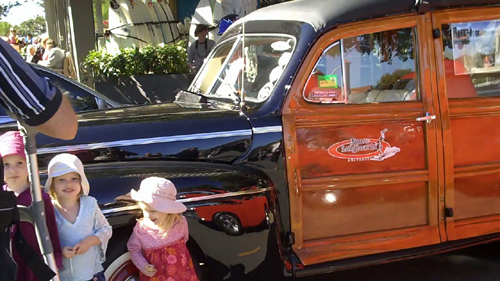 David’s father Woodoo came up last week for the Wintersun festival that runs for a week, showcasing hot rods, classic cars and custom vehicles. Wintersun isn’t just about cars, though. It’s also billed as a Rock ‘n’ Roll Nostalgia Retro event and attracts enthusiasts who love music, dress and culture from the 50s and 60s. There were many market stalls set up along the esplanade, selling everything from nostalgic-50s-dress to beeswax polish. As we walked around the streets of Coolangatta, it was fun to see ladies wearing crinoline skirts and bobby socks. Many men wore their hair slicked back, and I haven’t seen so many Elvis shirts in one place before! I think it would be particularly fun to dress appropriately for such an event. Now that I’m sewing, surely I could make a set of matching poodle skirts! It wasn't just the people who dressed up. 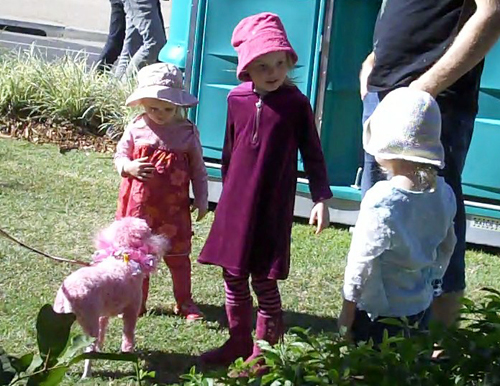 The girls were delighted to meet this pink poodle! When I reached into my backpack for my camera, I was heartbroken to realise that I had left the battery at home in the charger, so all my photos from this event are shots that I pulled off my little Flip video recorder. 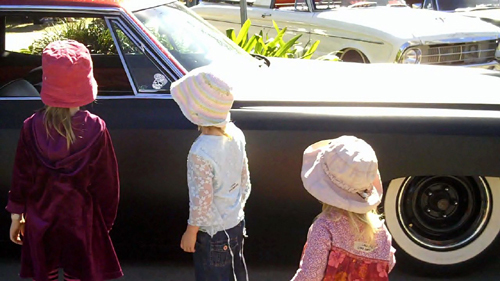 Woodoo still had his camera, so he took some photos of our girls as well as the cars. I'll get some of his pictures later. 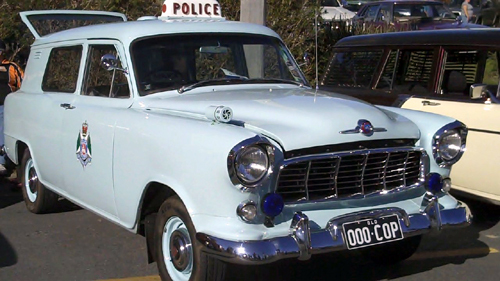 This was an old police car, restored to its original condition — an Australian classic Holden. 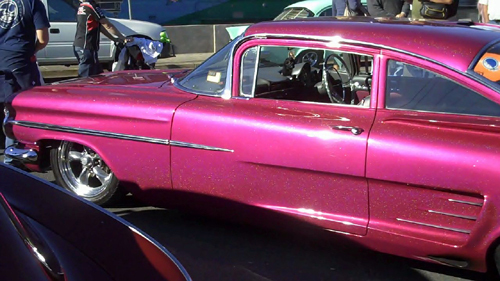 The paint jobs on these cars were absolutely fantastic! 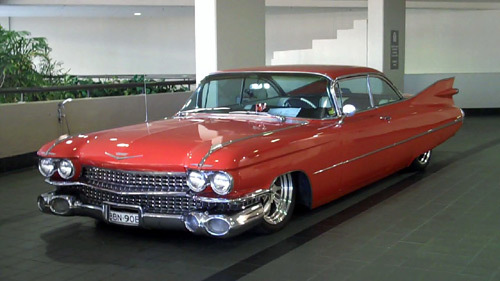 Some of the cars had such low suspension that the girls could easily see in through the windows. This sticker on one of the cars caught my eye. 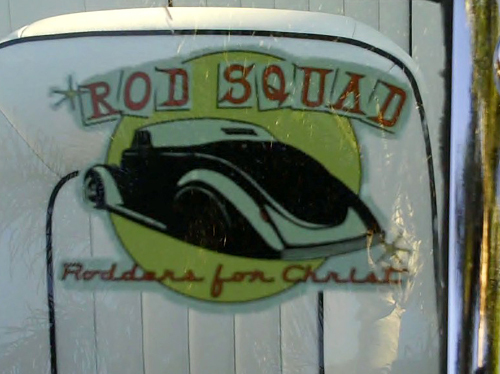 The Rod Squad are a local group that reach out within the custom car culture to share the love of God with people they meet. They’re not a club of Christian car restorers, but rather a network that integrate themselves within the wider sub-culture of car enthusiasts. David and the girls took a break in the middle of the day to test out the water (brrr!). After all, we were on one of the best beaches in Australia! The last two Wintersun festivals have been spoiled by professional thieves stealing showcased vehicles. Six cars were taken in 2008 and two in 2009, so it will be interesting to hear if this year’s event is marred by more thefts. Here’s a little compilation video of today’s adventure. Enjoy the rock ‘n’ roll, from Colin Buchanan’s album Boom Chicka Boom.